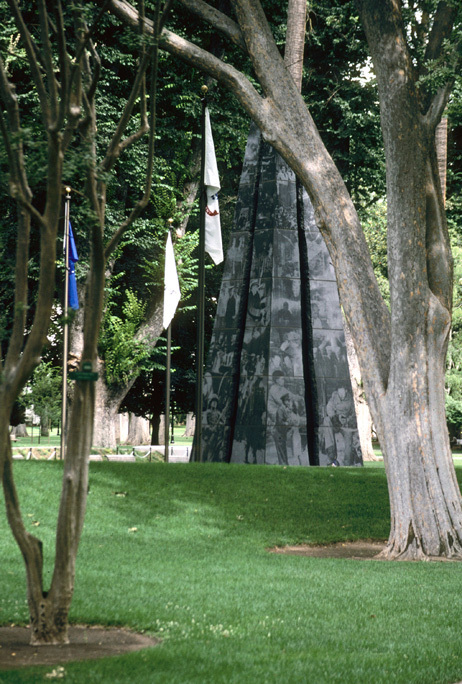 The California Veteran's Memorial stands under majestic old trees of the California State Capitol Park. 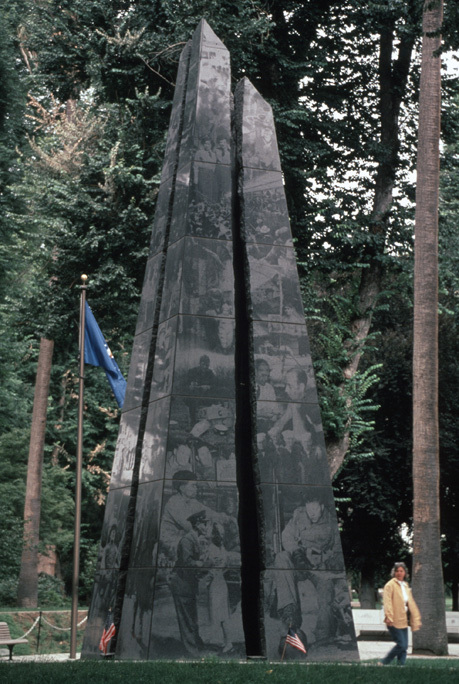 The memorial needed to be formal, timeless, and of sufficient scale to both solemnize, and celebrate the sacrifices of veterans and yet it needed to fit into the gentler ambiance of the park. We used the formal obelisk shape for the memorial and then photo-etched images of veterans onto the reflective black surface. 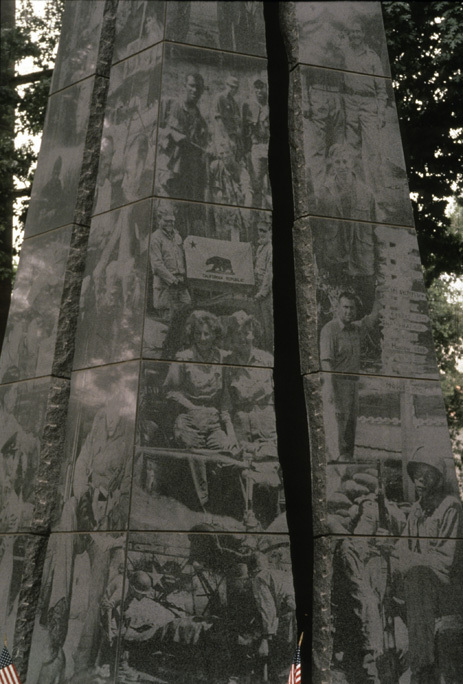 These images are of soldiers at war, during peace, with their families and friends. Our intention was to give a snapshot of the whole experience of being in the service. Designed and built in collaboration with Harry Hallenbeck; State Architect, and Katherine Keefer.